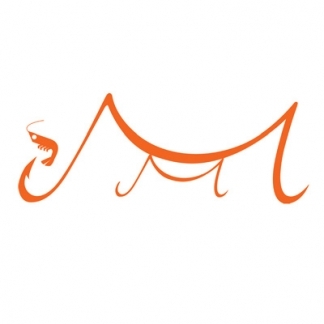 Morito's 6th annual Seafood Festival is back in October! Morito’s annual Seafood Festival, or Fiesta de Marisco, comes back to shore this October with a range of innovative dishes celebrating the fruits of the sea in a delicious and innovative new menu. This year each seafood dish will be matched with a particular sherry creating a pairing experience that brings a taste of the sea to Exmouth Market. Launching on Monday the 8th of October and running every day, for the rest of the month, Morito will celebrate the Seafood Festival with a four-course set menu with sherry pairings. The menu will cost £45 per head with four small glasses of sherry or £35 per head, without sherry. The set seafood and sherry menu is £45 per person, including four small glasses of sherry, or £35 per person, without. Available, alongside our regular menu, every lunch and dinner from 8 October to the 31st of October. Book online or call on 020 7278 7007. Morito Exmouth is hiring experienced waiting and bar staff. We’re looking for people with bundles of energy and enthusiasm who enjoy working in a busy environment and are passionate about food, drinks and excellent service. Great communication skills and English a must. 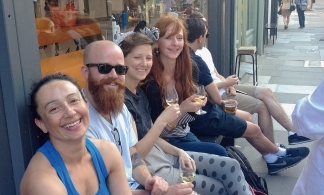 This is a fantastic opportunity to join our happy team with competitive pay and great perks! Please send your CV and a cover letter to jack@morito.co.uk. Unit 1, Autumn Yard, Hackney Wick, is a joint venture between Sam Clark of Moro and Morito and Nina Tolstrup of Studio Mama. It’s an exciting ‘raw’ canvas of a space that backs on to the River Lea and is opposite London Stadium. 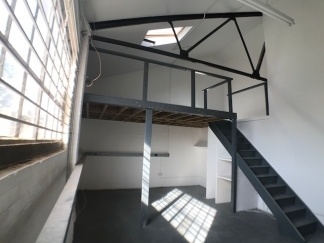 The warehouse currently has studios for rent to creatives, designer-makers and start-ups. 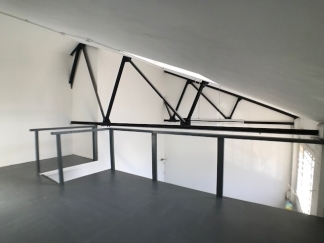 All studios have natural light and are leased unfurnished. The Autumn Yard studios offer: 24/7 access, super-fast broadband, a communal kitchenette and a large canal-side terrace with stunning views. 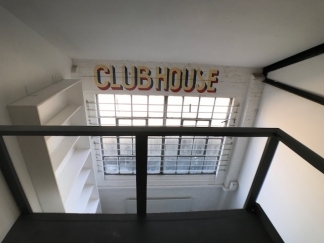 Studio sizes vary between 317 and 695 sqft with monthly rent from £700 + service charge + electricity. We offer contracts 12 or 24 months with one month’s deposit. Details on the studios available can be downloaded here.